Head over to Amazon to order a TOMY Gearation Building Toy Just $33.25! (Reg. $49.99!) Shipping is FREE on orders of $35+ or if you are a Prime member! We love this engineering toy for preschoolers. 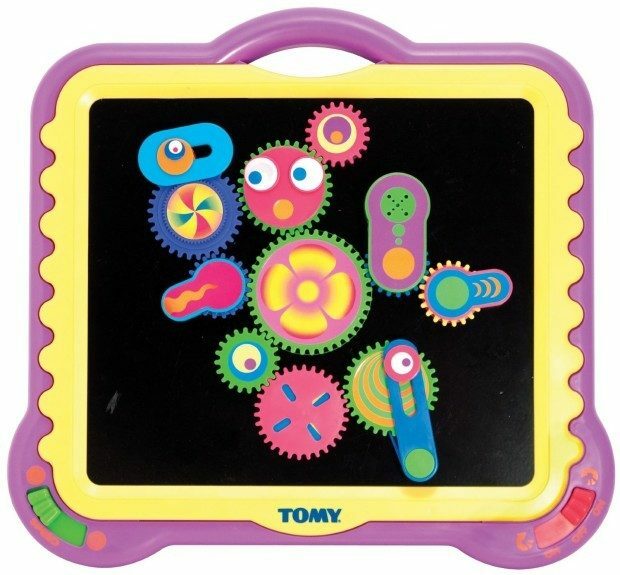 The Gearation Activity Set lets kids assemble clicking, whirring, googly-eyed machines all by themselves. Eleven colorful plastic gears adhere magnetically to an easel, each with a special trick: whirling, spinning, flipping or turning.